Harry Haze Corn Jr., 65, of Hendersonville, NC passed away unexpectedly Sunday, August 21, 2016. He was a native and lifelong resident of Henderson County and was preceded in death by his parents, Harry H. Corn Sr. and Geneva Corn and two sons, Jason and Aubrey Hill. Harry attended Edneyville High School. He had served in the US Army in the Vietnam War in the 984th Engineer Company Land Clearing Division. 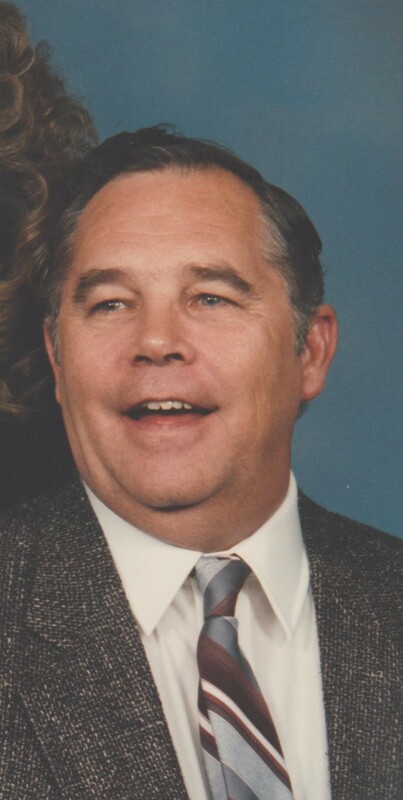 He is survived by his loving wife of 34 years, Brenda H. Corn; two daughters, Athenya Corn and Amanda Corn and family, two sons, Scott and Tim Hill; two sisters, Pat Nelson (Dale) and Harriette Thompson (Wayne) and five grandchildren, Michelle Corn, Tyler Hill, Aubrey and Kayla Justus and Kristen Lefever (Glen). At Harry’s request there will be no memorial service. Family and friends may pay their respects at his home from 10:00 AM to 5:00 PM. Martha Stepp Livingston, 81, of Fletcher, NC went home to the many waiting and to meet her Savior on Tuesday, August 23, 2016. She was born April 1, 1935 and was a native and life long resident of Henderson County. She was preceded in death by her parents, Decatur and Elsie Mae McMahann Stepp, her brothers, Craig and Randy, sisters, Mae, Josephine and Blanche, two daughters, Rita and Sharon and a granddaughter, Krystal. She is survived by six sons, Stanley Livingston (Charlene) of Hendersonville, Rickey Livingston (Kay) of Fletcher, Scottie Livingston of the home, Johnny Livingston (Judy) of Washington, Merrill Livingston (Janice) of Tennessee and Clarence Livingston (Rita) of Fletcher; a daughter, Coleen Metcalf (Douglas) of Asheville; 26 grandchildren, numerous great grandchildren, great-great grandchildren, nieces and nephews. A funeral service will be held 2:00 PM Thursday, August 25th at the Chapel in The Pines of Jackson Funeral Service with Rev. Jerry Lacefield and Rev. Doug Carroll officiating. Burial will follow at Ebenezer Baptist Church Cemetery. The family will receive friends one hour prior to the service in the chapel. Bonnie Rhodes Paris, 87, of Flat Rock, NC went to be with the Lord, Friday, August 19, 2016 at the Elizabeth House. She was a native and life long resident of Henderson County. She was preceded in death by her parents, James and Dora Garren Rhodes, her husband Grady Paris, two sisters, Faye Cable and Addie Walters and a brother, Fred Rhodes. She was a member of Refuge Baptist Church and had retired from GE. 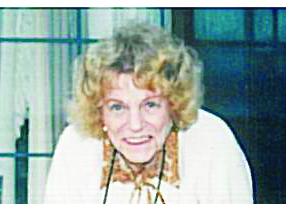 She is survived by her son, Gary Paris (Kristy) of Flat Rock; a daughter, Sharon Byerly (Skip) of Greensboro, NC; three grandchildren, Heath, Greta and Lauren; three great grandchildren, Ransum, Chyenne and Kathlyn; a sister, Joyce Redmond (William) of Hendersonville and several nieces and nephews. A graveside service will be held 12:00 PM Monday, August 22nd at Forest Lawn Memorial Park with Rev. Zollie Ward officiating. The family will receive friends Sunday night from 6:00 PM to 8:00 PM at Jackson Funeral Service and at other times will be at the home of Gary and Kristy Paris. In lieu of flowers, donations may be made to Cardinal Care, 1000 W. Allen Street, Hendersonville, NC 28739. Viola Taylor Rhodes, 87 of Hendersonville died Thursday, August 18, 2016 at Hendersonville Health & Rehabilitation. A graveside service will be held at 11:00 am, Monday August 22, 2016 at Edneyville United Methodist Church Cemetery, with Reverend David Stanford officiating. There will be no formal visitation planned. Nicolas C. Brown, 19 of Hendersonville was called home to be with the Lord on Thursday August 11, 2016. Nic loved and was very much loved by his family and was especially close to his sister Melody. He had a good heart and always had a smile on his face. 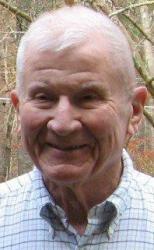 He loved to swim, fish, camp and his beloved New England Patriots. Gone to soon, he was loved by many and will forever be missed by all that knew him. Survivors include, his mother Christi Ballard of Hendersonville, his step- father Ron Ballard, his father and step mother, Eric and Jennifer Brown of FL. , three sisters, Melody Ballard of Hendersonville, Payton Brown and Henslie Brown of FL, one brother Jayden Brown of FL, his grandparents, James Knight of East Flat Rock, Evelyn Griffith of Liberty, SC, Barbara Zborvian of Anderson, SC and Doris Ballard of Tuxedo, four uncles, four aunts and numerous cousins. Emerson Randall “Randy” Enloe Sr, 69, of Hendersonville, NC went to be with the Lord, Saturday, August 6, 2016 at his home. He was a native and lifelong resident of Henderson County and was preceded in death by his parents Emerson James Enloe and Mary Sue McCraw Funt. He served in the U.S. Marine Corps during the Vietnam War and supported the Wounded Warrior Project and many other military organizations. He supported St. Jude’s Children’s Hospitals. 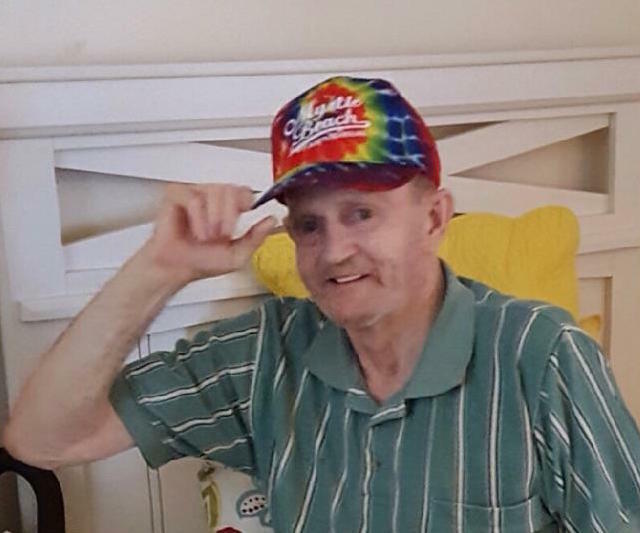 Emerson loved fishing, golfing and most of all spending time with his family. He is survived by his loving wife of many years, Susan F. Enloe; two sons, Randy Enloe and his wife Pam of Forest, VA and Tony Enloe and his wife Melinda of Flat Rock; his step-mother, Hazel Enloe; seven grandchildren, Benjamin Enloe, Tanner Enloe, Kailah Enloe, Hunter Chase Enloe, Bryan Cannon, Rebecca Aldridge and Hope Searcy; his siblings, John Michael Enloe, Patricia Fosler, Jewell Scott and Wanda Carpenter; several nieces and nephews and his canine companions Daisy Mae, and Baby Cakes. A funeral service will be held 11:00 AM Friday, August 12th at Living Water Baptist Church with Rev. Chris Pace officiating. Burial will follow in Jones Cemetery with military honors conducted by the Henderson County Honor Guard. The family will receive friends one hour prior to the service in the church. A small reception will follow the committal. Hazel LaRue Miller Hallman waits for the Creator’s voice. She went to sleep in Jesus on August 5, 2016 at her home in Hendersonville. Hazel was born October 18, 1928 in Norristown, PA to Amos and Linnie Miller. She married Ralph Hallman, Jr., deceased. She was also preceded in death by her sister, Esther Shobe Blandford, and remained a close friend with her sister-in-law, Ruth Hallman Heller. She and Ralph honored God by serving young people in VA, CO, FL, PA, AL, TN and SC. Employed for years as a secretary and bookkeeper, she more recently volunteered at Park Ridge Health and with the Carolina Adventist Retiree’s Association. Hazel was a member of the Upward Seventh-day Adventist Church family. 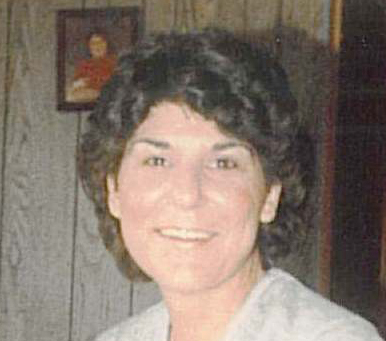 Hazel dedicated her life as a faithful mother to Judee (David) Spicer of Ooltewah, TN; Wesley (Joyce) Hallman of Flat Rock; David, deceased (Peggy) Hallman of Portland, TN; and Karen (Cliff) Ingersoll of Diana, TX. She was “Grandma” to Jonathan and Scott Spicer; Carrie Hallman and Melissa (Chris) Smith; Russell (Kristen) Hallman; Mark (Kristin) Ingersoll and Jennifer Windschitl; and was “G.G.” to Centurion, Alexandrea, and Maximillion Smith; Haley Bird and Sean Hallman; William and Sara Ingersoll; and Malachi and Dawson Windschitl. The family wishes to express heartfelt thanks to the Four Seasons staff. Ronald K. Patterson, 63, of Hendersonville, NC passed away Tuesday, August 2, 2016 peacefully at his home. He was the son of the late Robert F. and Dolores Hartley Patterson. He is survived by his daughter and her husband, Danna P. and Jason West; two sisters, Peggy P. Barrett of Inverness, FL and Susan P. Kraut and her husband Pete of Delaware, OH and several nieces and nephews. A private celebration of his life and accomplishments will be held at 7 pm on Wednesday, August 10 at Binion's Roadhouse. In lieu of flowers, donations may be made to Brother Wolf Animal Rescue, P.O. Box 8195, Asheville NC, 28814. Dorothy Louise Dotson Williams, 81, of Dana, NC passed to be with the Lord on Friday, August 5, 2016. She was the daughter of the late Harley Glenn Dotson Sr. and Cora Jane Walton Dotson and was also preceded in death by four brothers, Fred, Johnny, Eugene and Harley Jr. and a great grandson, Griffin Anglin. 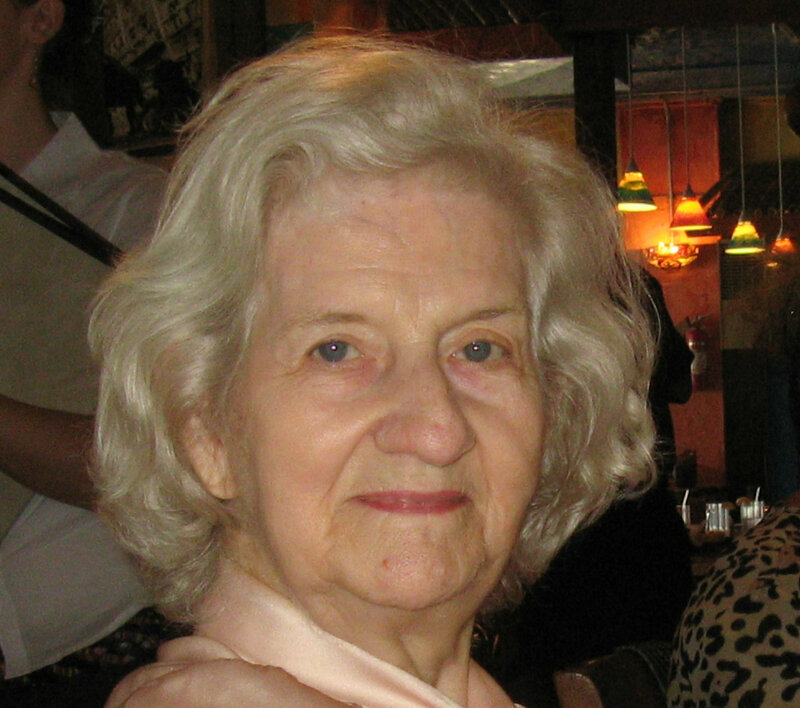 She is survived by her loving husband of 66 years, Charles B. Williams; six children, Sandy Poythress (Dennis) of Henderson, NC, Cathy Rathbone (Kenny) of Hot Springs, NC, Eddie Williams (Ginger) of Dana, Teresa Holbert (Eddie) of Hendersonville, Danny Williams (Candy) of Hendersonville and Patricia Hardesty (Dean) of Hendersonville; thirteen grandchildren; twenty four great grandchildren; one great-great grandson; three sisters, Mary Jones of Etowah, Margaret Summey of Hendersonville, Shirley Godbold of Weaverville and several nieces and nephews. A funeral service will be held 2:00 PM Tuesday, August 9th at the Chapel In The Pines of Jackson Funeral Service with Rev. Dan Blackwell and Rev. Jimmy Owens officiating. Burial will follow at Forest Lawn Memorial Park. The family will receive friends Monday night from 6:00 PM to 8:00 PM at the funeral home and at other times the family will be at the home of Patricia and Dean Hardesty. In lieu of flowers, donations may be made to the Alzheimer’s Association, Asheville, NC. at Life Care Center of Hendersonville. No service is planned. Margie Watts Green passed away peacefully July 30, 2016, at Sunnybrook Assisted Living in Hendersonville, NC. surrounded by her family and after a long and meaningful life. Born in Shreveport, La., August 5, 1921, Margie was preceded in death by her husband, R. Don Green, and a young son, Donnie Jr. She was the daughter of the late Cora Moore and Jay Daniel Watts, and younger sister of Edith Watts DeBroeck, Loy Hinton Watts, Faye Watts DeBroeck and J.D. 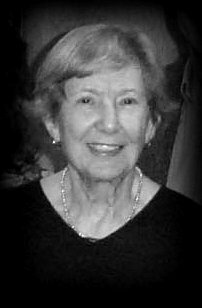 Watts Jr.
Margie moved to New Orleans in 1966, and after a few years became a valued employee in the corporate offices of J. Ray McDermott, until her retirement in 1994. Margie took pride in everything she did, and was meticulous and considerate in all her responsibilities in both public and family life. As a young woman she was a member of Calvary Baptist Church in Shreveport, and on moving to New Orleans, her spiritual home became Oak Park Baptist. After moving to NC in 2004, the First Baptist Church of Hendersonville became her holy ground. Her faithfulness is likely still remembered in corners of these 3 churches. She is survived by her daughter, Loy Lauden-Stowell of Zirconia, NC; her grand-daughters Lacey Loy Lauden and Lorelei Lauden Scollin of Hendersonville, and Lindsey Lauden Miguelez of Asheville, NC. ; 6 great-grandsons: Aaron Romano, Kevin Roberts, Justin Legnon, Ian & Jude Scollin, and Adrian Miguelez; and 2 great-grand-daughters: Megan Legnon and Naomi Miguelez, plus beloved son & grandsons-in-law, nieces and nephews. Funeral Services to celebrate her life on her 91st Birthday will be held at 2:00 p.m. on Friday, August 5th, 2016 in Thos. Shepherd’s Church Street Chapel officiated by the Reverend Howard Hanger. The family will receive friends for one hour prior to the service in the chapel. Graveside Services are planned for the afternoon of August 10th in Shreveport, La. at Forest Park East. In lieu of flowers, donations are invited to The Boys & Girls Club of Henderson County NC, P.O. Box 1460 Hendersonville, NC 28793.